When getting busy and the stress of work or college gets overwhelming, it is easy to push exercise routines down on your list of priorities. But just like water is essential to your life, so is exercise. Fit workout into your schedule: “Every Monday, Wednesday and Friday at 8 p.m., I go to walk. I have literally built this into my schedule as a necessity.” Sign up for a Virtual Personal Trainer or fun exercise group at your school’s gym that are more likely to get you excited about working up a sweat. Sign up for a local race. 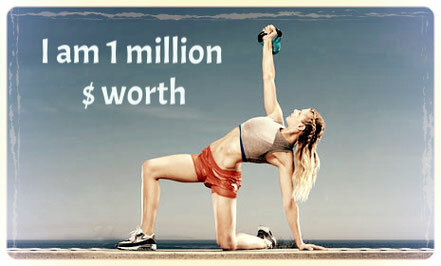 Knowing that you are working toward a big event is a great motivator to keep fit. It is hard to keep up motivation on your own, so call a friend who shares your desire to stay fit and healthy throughout the year. When you have a partner in crime, you can encourage each other and hold each other obliged to the cause. Encouragement is great, but a little healthy competition can be a great motivator. For example, make a bet with your friend to get a six-pack by the end of the year. You can even challenge your friends through your favourite social network or app such as Endomondo, my favourite for competing with friends ;-) “If I win then you would buy me a nice dinner. If I fail then I owe you a dinner ;-)” I am sure that if you end up winning the bet in the end, you will be more motivated and keep doing it forever. Even if you do not win the competition, you still get the benefits of having stuck to a healthy plan. Just make sure not to let your competitive side take it too far. At the end of the day, everyone’s body is different, so you may get different results than your friends when doing such a competition. Keep the competition positive by encouraging your competitor, no matter what the results are, and, most important, make sure that you do not allow the competition to lead you to do anything that put your health or sanity in risk. Virtual Personal Trainer science-clinical trials have have recently demonstrated recently that staying motivated is the key element to an effective weight loss and maintenance. But while keeping track of your foods and workouts holds you more accountable for how you treat your body, sticking to a fitness routine is different from sticking to a healthy eating routine. Click the button bellow for hints to keep you motivated and inspired for achieving a healthy body weight.